"Nowadays we are tossed by the winds into different directions, and I wanted to say to them that peace is a great blessing," Haleem said to SNA. 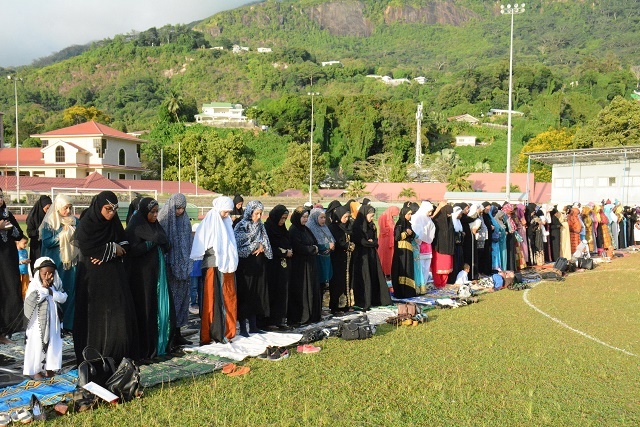 This year the month of Ramadan fell in June during which the island nation experiences a lowered temperature. "I made a lot of sacrifices. 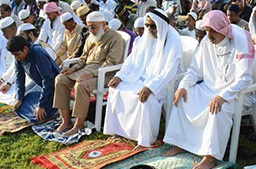 It was easier this year because of the southerly winds providing a cooler atmosphere," Harun Athanasius who attended the Eid prayers told SNA. 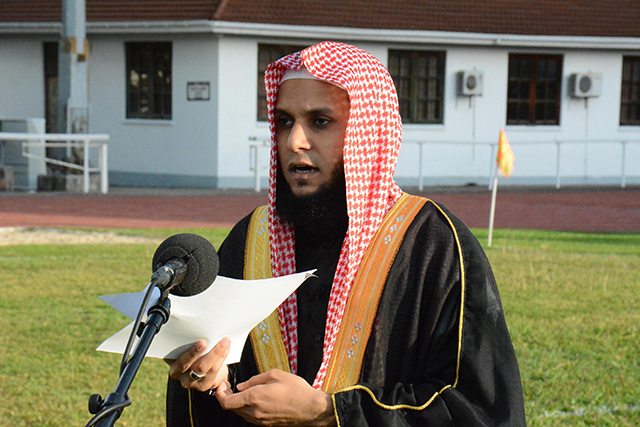 Sister Houakma said to SNA that "after 30 days of making sacrifices, we now come together for a family feasting." After the morning prayers, many Muslims gathered at the Mosque in the capital Victoria to share a meal. 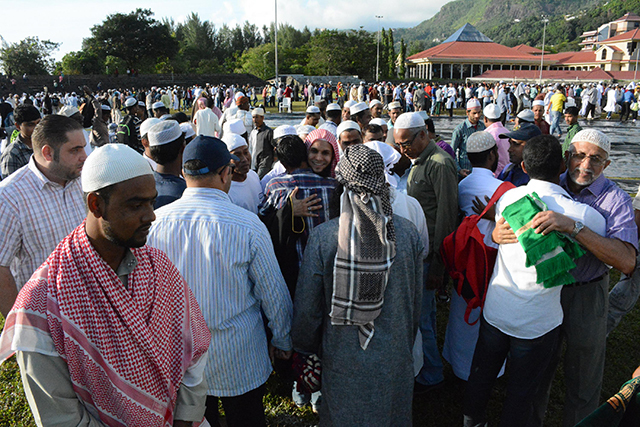 Eid-ul-Fitr is not a public holiday in Seychelles, but the law stipulates that it is at the discretion of the employers to release Muslim workers for the day.According to the national bureau of statistics, 76.2 percent of the Seychelles population is Roman Catholic, 6.1 percent Anglican, 2.4 percent Hindu, 1.6 percent Muslim, and 13.7 percent other faiths. © 2006 - Consulate of The Republic of Seychelles in Jakarta - All rights reserved.